1990 Bordeaux remains one of the top vintages of the 20th century. Like all vintages, its character was shaped by the weather. 1990 was the hottest vintage to follow 1947. All great Bordeaux vintages spring from hot years and 1990 Bordeaux was no exception. July and August were dry and hot. In fact, at the time, 1990 Bordeaux was the hottest summer on record. Only 1928 reached higher average temperatures for the month. Interestingly, while hot, the growing season was not dry, especially in September. Similar to what happened in 2009, producers claim the rains fell at just the right time. The moisture allowed the grapes to reach higher levels of ripeness and increase their sugar and potential alcohol levels. 1990 Bordeaux continue improving and thrilling wine lovers. They are rich, roasted, velvety, intense, sensual expressions of Bordeaux wine. Plus, the quality of the vintage allowed great 1990 Bordeaux wine to be produced at all levels in every appellation. 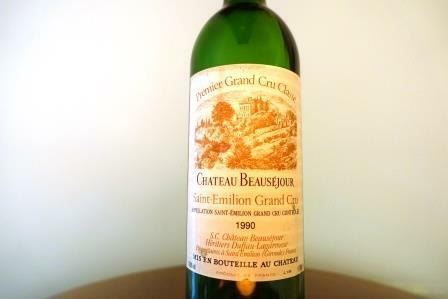 The Left Bank, The Right Bank and Pessac Leognan were all equally successful in producing sublime 1990 Bordeaux wine. Most of the wines are now reaching full maturity. If well stored, they should remain at this level until at least 2025, before slowly declining. 1990 Bordeaux is also a great vintage for the sweet white wines of Sauternes. The following tasting notes were based on 1990 Bordeaux wines tasted in 2010, 20 years after the vintage. The bottles were sourced and tasted at the chateau in Bordeaux for the majority of wines in this article. If you want to read about the best Bordeaux value wines from 1990 Bordeaux and from other vintages, Bordeaux Wine Buying Guide Find the Best Bordeaux for the money to buy today (Vintages 1959 to today) If you are interested in reading detailed weather reports on the growing season and the harvest, Bordeaux Year to Year Detailed Vintage and Harvest Reports Guide 1900 to Today.